Kindness. That seems like a simple enough concept, doesn't it? It did to me. Until I started digging into God's Word. Kindness took on a depth and fleshed out and became more than just a word for being nice to people. How would you define kindness? I often ask the girls to be kind to one another. Don't hit your sister, don't take things from her, don't pull her hair, help her, share with her ... of course all those things are a type of kindness. I finally looked up the dictionary definition of kindness: the quality of being friendly, generous, and considerate. Before I continue please know I do believe Christians filled with the Holy Spirit should exude these things! However ... I've run into a bit of a problem. The Greek word in Galations used for kindness is "chrestotes" or "xrestotes" depending on your reference (Englishman's/Strongs/HELPS Word-studies). There isn't actually an English word for this type of kindness, which HELPS defines as useful/profitable ... useful goodness. What is really needed. I'm going to talk more Thursday about what it seems our society deems kindness. Today, since my focus for Monday is the fruit of the Spirit, focus on the kindness we bear as fruit when we have the Holy Spirit. What is useful and proper isn't always what is comfortable. 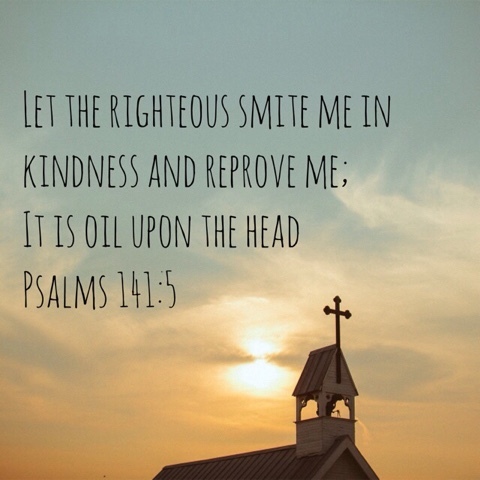 As the Psalmist says, sometimes a kindness is a timely reproach. Being reproached is unpleasant, especially at first. But it is often what is needed. A loving reproach delivered appropriately is oil upon the head. Cleansing. Healing. Only the Holy Spirit can move us in that way. In Romans, amid the discussion of the vine (Jesus Christ) and the branches, God's kindness appears right next to His severity. I would argue that God's kindness is always useful. But pairing it with His severity reminds us He is Holy and cannot, will not, overlook sin that has not been covered by Jesus' blood. He is kind in that He made a way for us. It would not be kind to allow us to do whatever we want and reject His son's sacrifice and still choose to overlook sin that has a price: death. Some modern Christians, leaders and laymen alike, would have us believe God being loving and kind means that everything is daisies and roses and that He has no malice toward anyone. But if we are cloaked in sin and darkness that is what He sees. His kindness is that He saw us at our worst and instead of rejecting us outright He, being tolerant and patient, made a way for us. We make light of the way He made when we say He is a cruel God for punishing sin. Yes, He does and will require payment for sin. He has to. He is righteous and Holy and light and no darkness can remain in His presence. 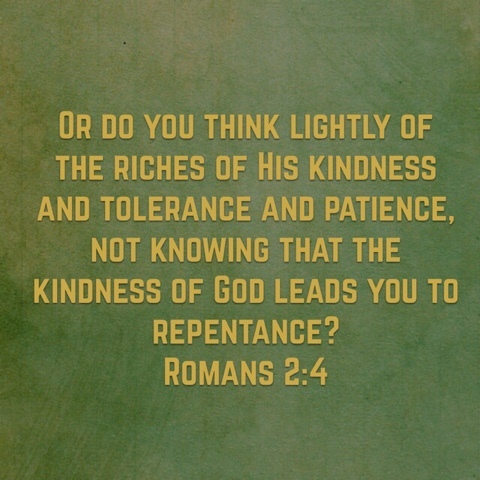 Do you make light of the kindness He has extended to us? Rather than wiping us out for our sin, He gave us a chance. 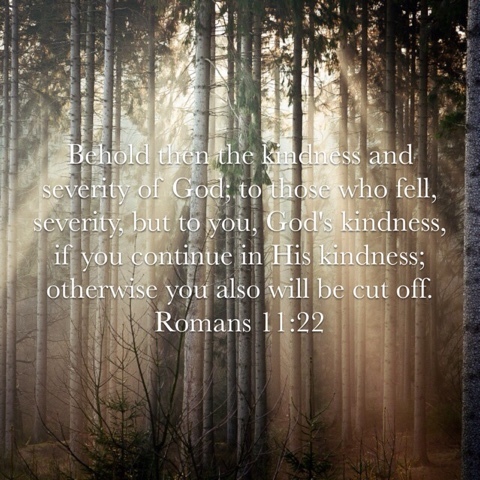 The choice to reject that kindness is on our own shoulders; not His.